Revamp or install air conditioning. 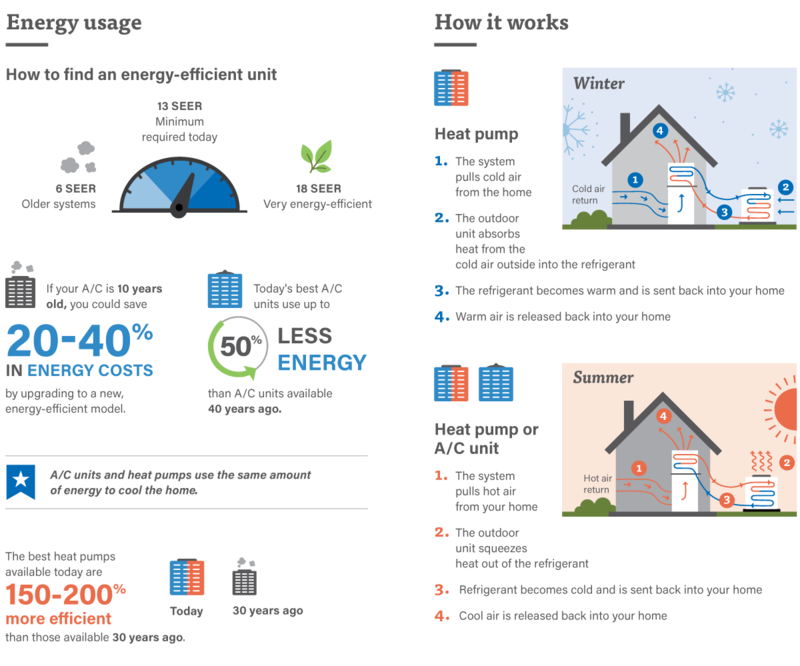 Heat pump: This all-in-one system provides energy efficient heating and cooling. This is a great option for homes with an older or inefficient furnace. Air conditioning unit: If you have an energy efficient furnace, you may just need an air conditioning unit. Ductless systems: For homes without ducts (and even those with them), ductless systems are a cost effective option. These workhorses allow homeowners to heat and cool specific areas, saving money and energy. Replace or fix your windows. Energy efficient windows make a big difference in home comfort and cooling. Old, cracked, or broken windows or windowpanes allow warm air to enter the home, and cold air to escape. If you’re dealing with aluminum framed or single pane windows, this might be the time to upgrade to vinyl windows. You will also be making an investment in future winter comfort, as energy efficient windows will help keep your home warm when the weather turns cold. If your windows are already vinyl, but leaking air, be sure to caulk and seal any cracks and air leaks. A slow leak of hot air really adds up… especially in your wallet. When we hear the word “weatherproof”, it’s easy to think of blustery winds and relentless rains. But weatherproofing is also crucial in the summer, particularly for doors. Is your weather stripping around the door cracked or insufficiently affixed to the door frame? Don’t waste precious cool air—fix it ASAP. It’s an inexpensive way to keep cool air where it should be. Is your home stifling when you get home from work? Is it already stuffy when you wake up in the morning? 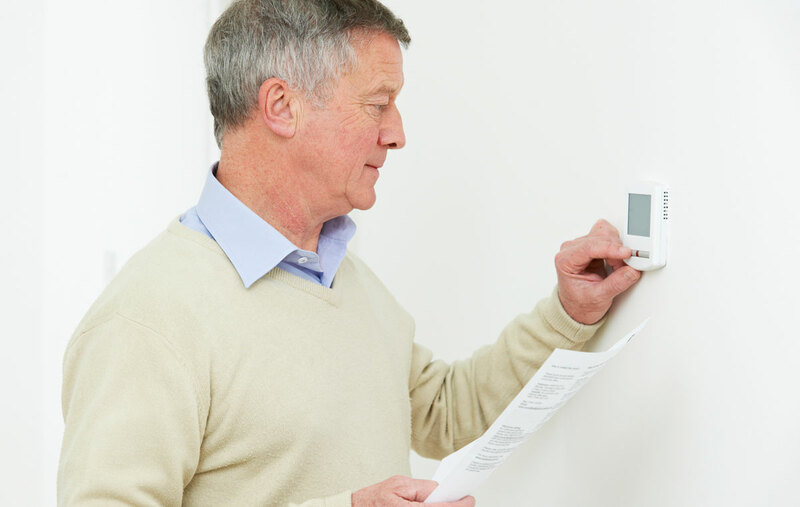 Cool your home on your schedule with a programmable thermostat. 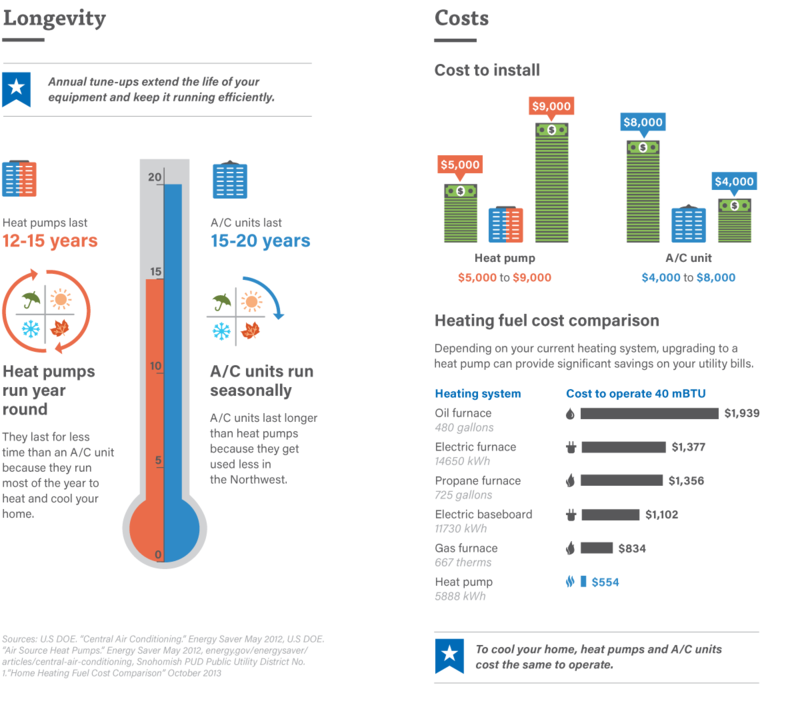 With several utilitarian and high tech options from Honeywell, Washington Energy Services has a thermostat to meet any need and budget. Through comprehensive testing, a Home Energy Audit from Washington Energy Services can pinpoint the areas where your home isn’t performing to its full potential. This includes areas where you may be losing cool air, and ultimately, losing money. We may already be in the middle of summer, but there’s plenty more heat to come. 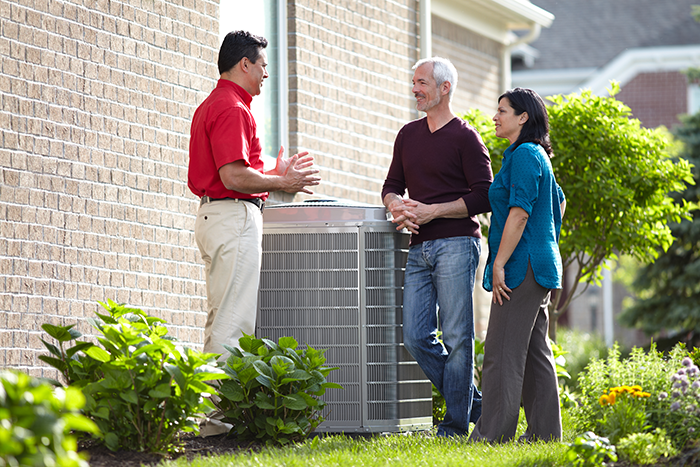 Keep your home cool and your family comfortable with help from Washington Energy Services. Posted On: May 5th, 2015 Filed Under: Cooling, Air conditioning 2 Comments on Do you really need air conditioning in Seattle? If you’ve turned on your central air conditioner only to find it isn’t cooling you down enough, Washington Energy Services has tips to help. These are for air conditioning systems, not heat pumps. 1. The Air Conditioner has not been recently serviced. Maintenance is recommended to ensure the unit is working properly and to manufacturer specifications. This is especially important in areas like Seattle where the AC is not used until July-Sept and then sits idle for 9 months. Leaves and debris can get into the unit in the offseason too`. 2. The air handler or furnace that sends the cool air through your house via the ducts may not be working properly. There could be dirty air filters as well as dirty coils. 3 The duct work may leak and need sealing and insulating—especially if the cold air return is in the attic. Duct leakage in older homes without duct sealing can go from 10%- 40% of total air lost in transit. 4. You may have insufficient duct work to send cool air everywhere in your house. To ensure you get the maximum cooling, have an Air Conditioning technician make sure the AC system is charged correctly, the filters are clean, the temperature across the coil is a 20 degree drop, and duct leaks are sealed. Heat Pumps are typically sized for heating as the primary function and do not have this issue when they cool. If you suspect you are just losing your cool because of airways in a drafty old house, the solution is to tighten up the seal of your home. That may involve air sealing, duct sealing, insulation and weather stripping among other solutions. The best way to determine what should be done is to have a home energy audit by a BPI certified contractor. Washington Energy Services provides air conditioning systems and service, plus certified home energy audits for customers in Western Washington. Right now all air conditioning systems are 15% off through August 31st. Call 800-398-4663 for a free estimate. Posted On: June 15th, 2012 Filed Under: Air conditioning, Ductless heat pump, Heat pump 103 Comments on AC vs Heat Pump: The Cooling Battle!